This was India’s third consecutive win in the tournament. 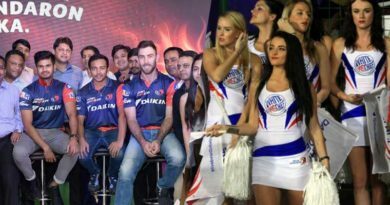 They lead the points table with 9 points. 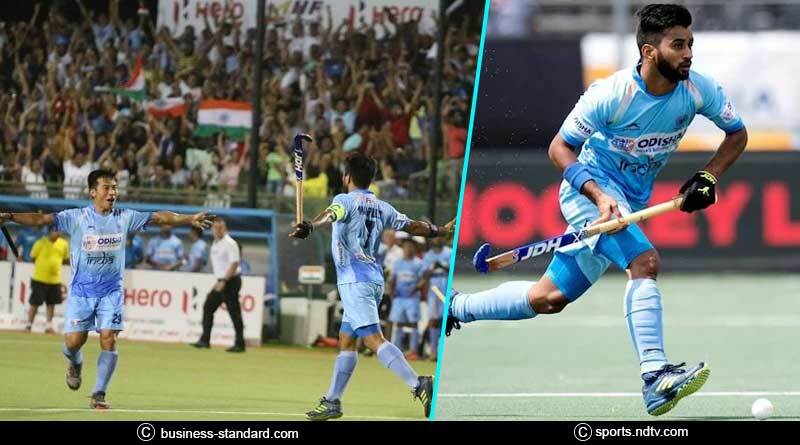 Coming back to Asian Men’s Champions Trophy highlights, India continued their scintillating form in the Men’s Asian Champions Trophy with a stellar performance against Japan. Crushing the Asian Games Champions 9-0, India extracted their Asian Games semi-final defeat against Japan in the perfect way possible. With the win, India went on top of the table with 3 wins from 3 matches that took their points tally to 9 points and goal difference to +22. Malaysia follows with 6 points. 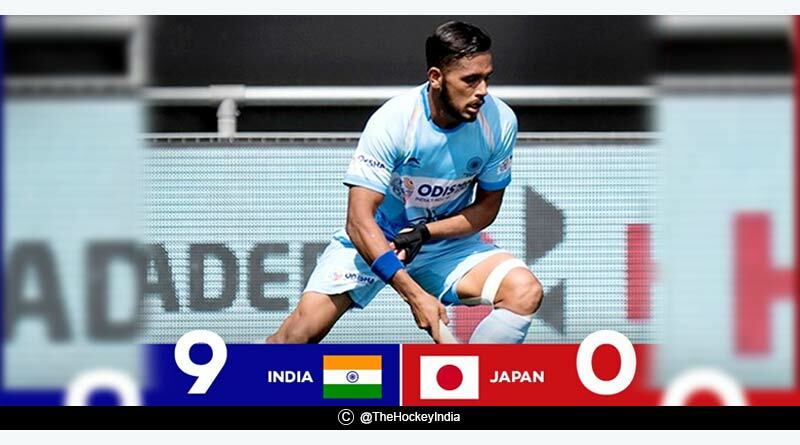 Clobbering Japan, the Indian men’s hockey team winning run at the ongoing Asian Champions trophy was kept intact in style. Romping onto their third straight win in the round robin stage of the tournament with a dominant win against a tricky opponent, India once again underlined their title winning credentials. India’s goal fest was lead by Harmanpreet Singh and Mandeep Singh with the pair getting a brace for the country. 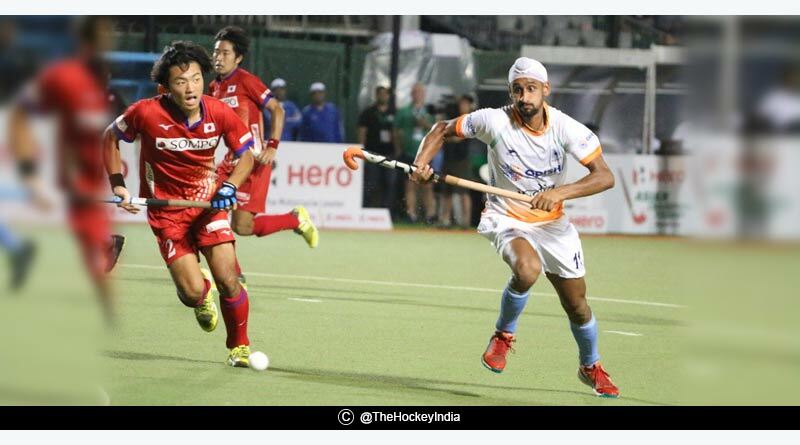 Harmanpreet Singh lit the match with his attacking show, putting two past the Japanese in four minutes. Goals from him in the 17th and 21st minute, saw India score two in each of the first two quarters to lead 4-0 at half-time. Refusing to lower their gear, India attacked ruthlessly throughout the match. The World No.5 side scored 3 goals in the third quarter with two more coming in the last 15 minutes of the match to complete their dominant, 9-0 out of their opponents. The other goal scorers for India were Akashdeep, Gurjant and Kothajit. Akashdeep was given the man of the match award as he leads the Indian attack with aplomb, guiding India to a famous win. India’s performance was a complete one that saw the side function is perfect unison and harmony. Not only was the attack at its best but the defence was equally good, not falling asleep at any moment in the match despite hardly being called upon throughout the four quarters. Maintaining their shape and position throughout the entirety of the match. The defence ensured that India didn’t even allow Japan a consolation goal. India had earlier triumphed over arch-rivals Pakistan 3-1. Guided by skipper Manpreet Singh, India had bounced back from a goal behind to put Pakistan in their place with a performance that saw them dominate their opponents on the day. These wins paired with India’s 11-0 mauling of Oman on opening day has made the Asian giants the clear favourites this tournament. For more details on Asian Men’s Champions Trophy highlights and related updates, like and subscribe to tentaran.com.